This week Sunday Supper has a theme of The Best Recipes Always have a story. That is so true! No matter what I make for dinner, there always seems to be some story to go along with it. This week the recipe has not one but two stories to go along with it. Several years ago my husband and I went to Las Vegas. It was our first time there and we had an absolute blast! One thing we wanted to do while we were there was to eat at several of the incredible restaurants. Of all the restaurants we went to, Bobby Flay’s was the one that stuck out. The food was incredible and it was somewhere we both would want to eat again. I’m pretty sure this sealed our love for Bobby Flay and his cooking. Whenever we look for a recipe with meat, we look to him for guidance. This week was no exception. 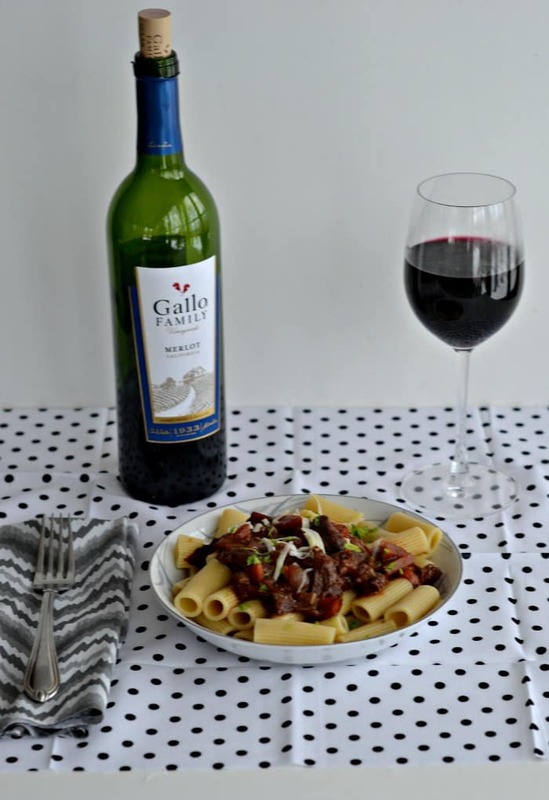 I’ve had it in my head for a few weeks now that I wanted to make some type of short rib pasta that I could pair with Gallo Family Vineyard’s incredible Merlot. Nothing pairs with pasta quite like a fabulous red wine. So when I looked for recipes that included short ribs in pasta of course I found one from Bobby Flay. This is where the second part of the story happens. I was determined to make this dish on a Sunday since it takes several hours to make and I work during the week. I grocery shop every Sunday morning so I took my list and went to the store. When I got to the meat counter I asked for several pounds of boneless short ribs. The looks on the man’s face said it all. He told me he thought they were out of them but went to check. No big deal, I’d get the bone in short ribs. When he let me know that they were indeed out of boneless short ribs I told him I’d take bone in. The look on his face got even worse. He then had to tell me they were out of those as well. Now I had a dilemma. I knew the closest grocery store didn’t carry short ribs. I was banking on the store I was in to have them. I could leave without them and come back on Tuesday when they would get them in and have the short ribs later in the week but I don’t really have time to make them during the week. On a whim I ran to the market that was farther away and to my delight they had the boneless short ribs! By this point it was starting to snow, I was getting crabby, and I headed home. 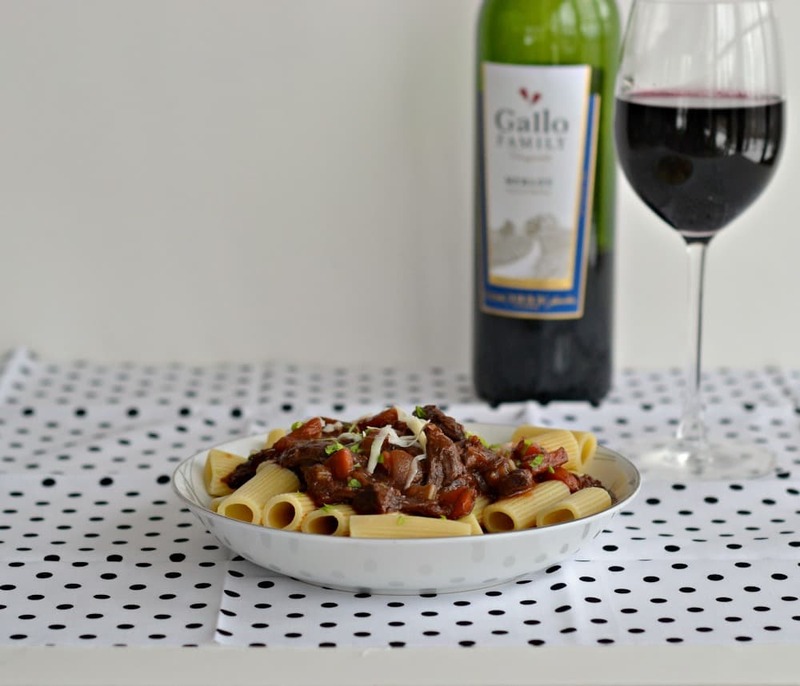 I got to work making this short rib ragu and when it came time to add the Gallo Family Vineyards Merlot I added the amount needed and promptly poured myself a glass to enjoy while I finished cooking. I figured, after all the trouble I had getting the ingredients for the dish I could at least relax with a nice glass of wine. I’m happy to report that the time this dish took plus the difficulty with the ingredients was more than worth it. The ragu was absolutely incredible! There was a subtle tomato flavor compounded by the wine reduction along with the meaty short rib flavor. 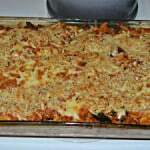 The vegetables added more depth and it was wonderful over top of rigatoni. 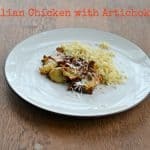 I think both my husband and I ate more than our fill of this delicious dish! Plus there was just enough wine left for us each to enjoy a glass with dinner. There was only one word for this meal: perfection. Looking for more information on Gallo Family Vineyards? You can follow them on Facebook, Twitter, Instagram, and YouTube. 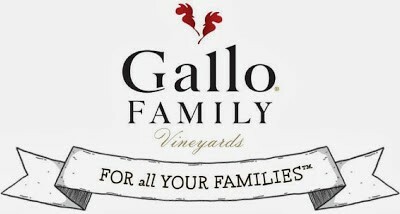 Their website has information on all Gallo Family wines, a store locator, and pairing guides. Place a Dutch oven on the stove over medium heat. Add the oil and heat for 2 minutes. Season the short ribs with salt and pepper and add to the oil. Cook ribs until they are browned on all sides. Remove from the Dutch oven and place in a large bowl. Add the carrots, celery, onion, and shallots to the Dutch oven. Cook over medium heat, stirring occasionally, until vegetables are softened, about 10 minutes. Prepare the bouquet garni: place the bay leaf, rosemary, thyme, and parsley in the center of cheesecloth. Bring edges together and tie with kitchen string. Set aside. Add the flour and the tomato paste to the Dutch oven. Stir to combine. Add half of the merlot and stir with a wooden spoon until all browned bits have been scraped from the pan. Add the remaining red wine and simmer until the liquid is reduced by half. Stir in the garlic, crushed tomatoes, oregano, and beef stock. Add the bouquet garni. Return the short ribs to the Dutch oven. Bring the liquid to a simmer. Cover and place in the oven. Cook for 2½ hours or until the short ribs are tender. Remove the cooked ribs from the Dutch oven. Set the Dutch oven on the stove top over medium heat and simmer to thicken the sauce. As soon as the short ribs are cool enough to handle, shred into small pieces. Degrease the sauce and remove the bouquet garni. Return the meat to the pot and simmer until the sauce reduces by half. Cook the rigatoni according to the package directions. Drain pasta. Serve the rigatoni in bowls topped with the short rib ragu. Sprinkle with parsley and Pecorino Romano. Join the #SundaySupper conversation on twitter every Sunday! We tweet throughout the day and share recipes from all over the world. Our weekly chat starts at 7:00 pm ET. Follow the #SundaySupper hashtag and remember to include it in your tweets to join in the chat. Check out our#SundaySupper Pinterest board for more fabulous recipes and food photos. Would you like to join the Sunday Supper Movement? It’s easy! You can sign up by clicking here: Sunday Supper Movement. 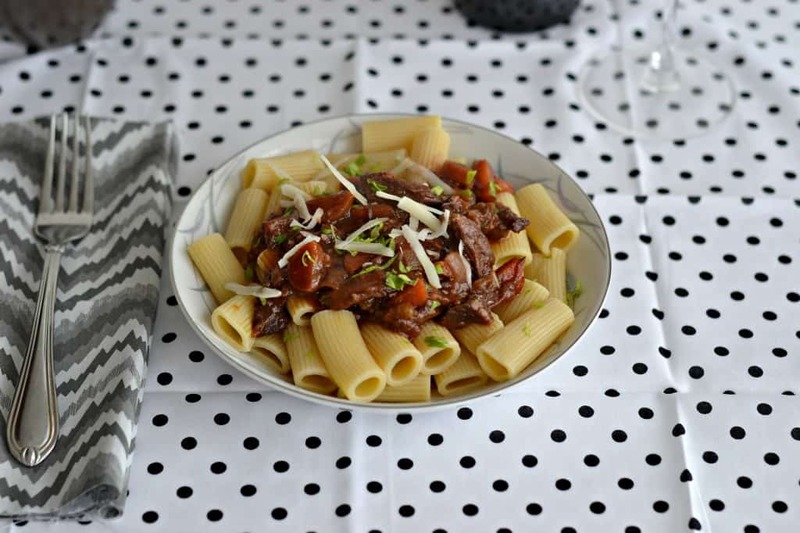 Short ribs give such amazing flavor to pasta sauces, and my family would go nuts for your ragu! Looks terrific!!! 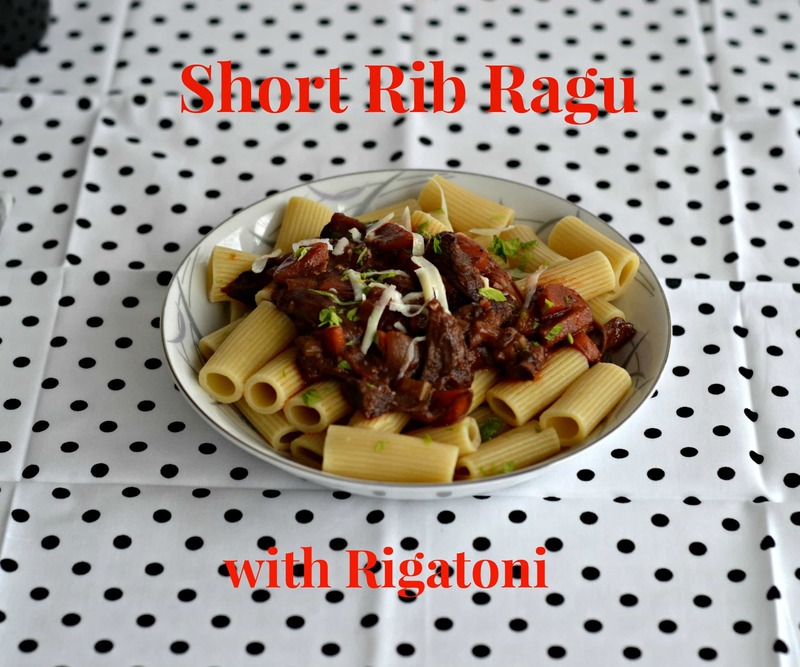 I just love short ribs and I can’t wait to try your ragu recipe with them. You have inspired to try making short ribs! What a delicious looking recipe. I love Bobby Flay!!! I was trying to go to his restaurant when we were in Vegas too but we couldn’t make it. . definitely will check it out next time!!! love your Short Rib Ragu with Rigatoni !!! yummm! And oh man, when the grocery store doesn’t have what you’re looking for? Torture. I have been known to visit more than one store just to track something down because I have it in my head I need to make a dish! That’s a wowser of a pasta dish. You could make your reputation as a cook with that dish! I have never cooked with short ribs. I really really need to. This looks amazing! 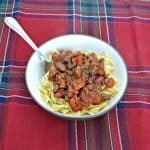 I love this meaty ragu…this looks like a dish my husband would love: hearty and full of flavor! Oh, I want to come over to your house next time you make this! Love this. And you’re convincing me that I need to go back to Las Vegas sometime. I went a few yeas ago, and we went to Craftsteak (which was AMAZING), but didn’t go to too many other restaurants. I’d love to try Bobby Flay’s. You definitely need to go back to Vegas! If you lived nearby I’d say come on over because this recipe makes plenty! Sometimes the best things are the ones that took the most effort! Cheers, Heather! Love love love short ribs! I can’t wait to make this dish, and you are right this is the perfect Sunday night meal!! This is fantastic Heather. I need to make short ribs more often! And I love Bobby Flay. Mesa Grill in NY is amazing. I also loved Bolo, but that is now closed. We love Mesa Grill too. I never went to Bolo. I’m with you, I definitely need to make short ribs more often! This is something my husbands mom would make. Love it! Ribs AND pasta?!!?! This is a serious WIN! Man, I really need to get into the short rib craze! I’ve never made them, but they always look so appetizing. So hearty and satisfying! Rigatoni is my favorite pasta and this ragu looks absolutely amazing! Pinned! I need to get some short ribs and try this out! It looks fantastic! What an adventure to get the ribs you needed for your recipe! Totally worth it though…it looks absolutely delicious! !